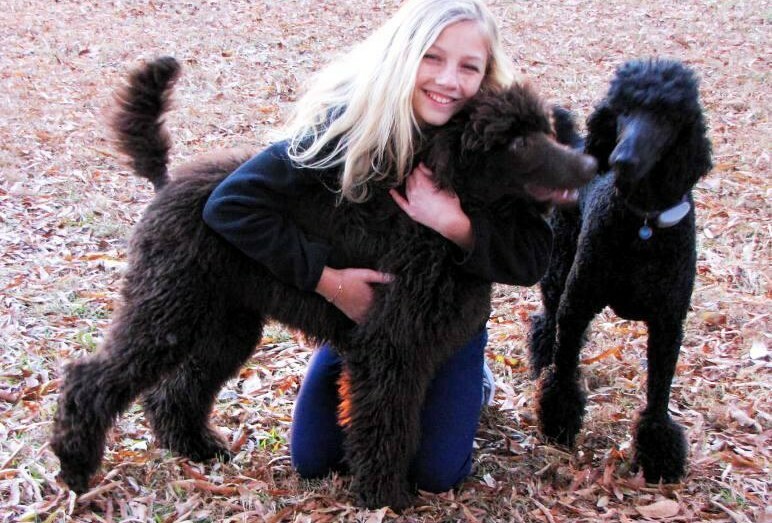 We have a dear friend who breeds Standard Poodles. When they decided to take a much needed vacation, we were called in to house and doggie sit their furry friends and family. This was a special treat for Zynnia who just loves these dogs.